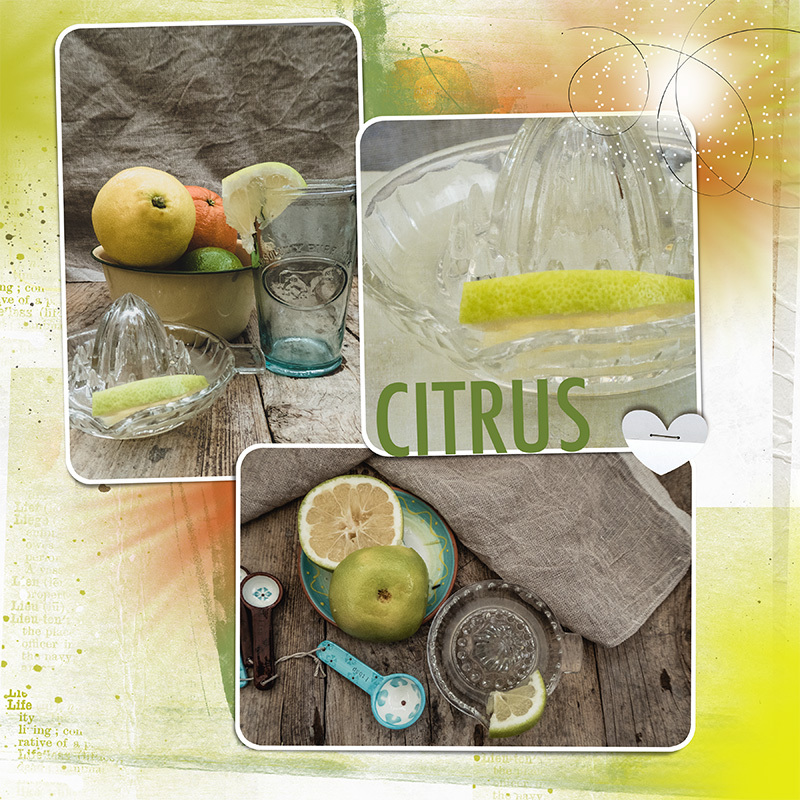 Week 33 – Citrus, I decided to do a digital layout of the prompt. I love the digital layout; so much more interesting. I have that same juicer but in green and it was my mothers. I wanted to tell you too that I love your new layout…Very pretty. Such a professional layout! Beautiful images combined in a creative manner – like a page from a magazine.